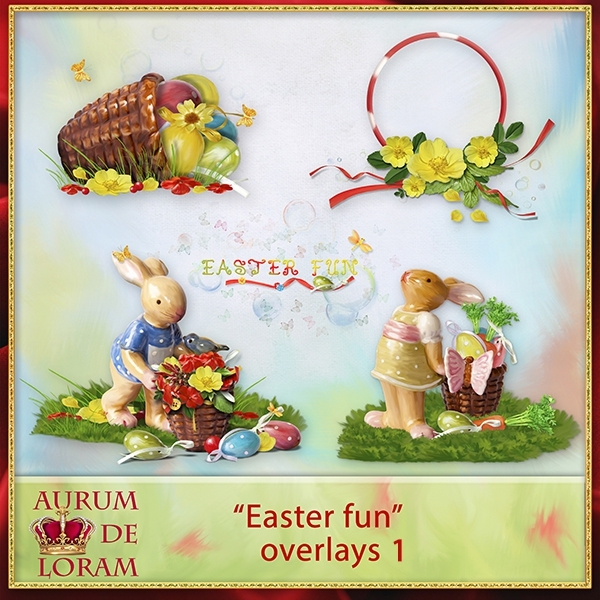 Dear friends, "Aurum de Loram" BLOG pleased to inform you that our products are now available in two new and wonderful shops. 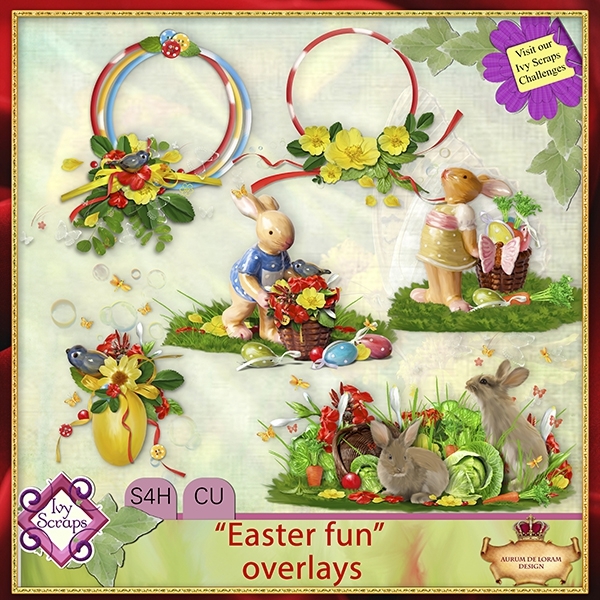 They are Ivy Scraps Store and Low Budget Scrapping Store Here's already spring! 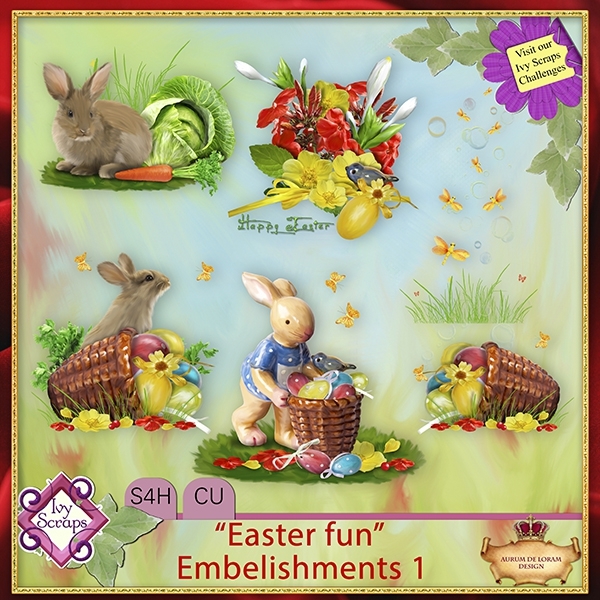 The Easter is coming! We are glad to present you our new products. 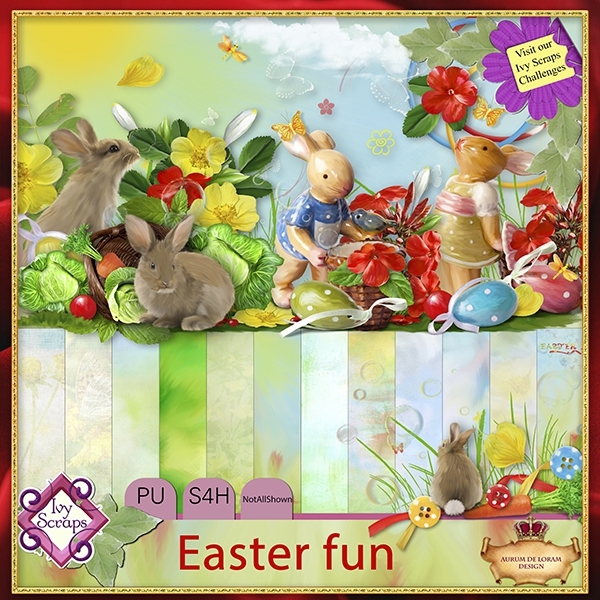 In Ivy Scraps Store you can find the lovely easter kit "Easter fun"
Have FUN in making the easter layouts and cards for your family! Now i want to tell you about the next shop as you can see it's title is Low Budget- here we'll put the products which cost not more then 2.50$ Also our old products will be on sell here Don't forget to check it! Today we want to present you the new CU kit "Puppies"